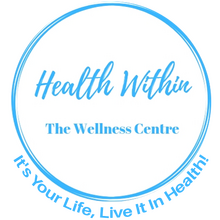 At Health Within, we take great pride in providing the finest wellness care to our patients. Below is a sampling of the different health services we offer in the office. We provide advanced spinal correction utilizing "state of the art" chiropractic techniques. Never in the history of chiropractic have we been able to provide the level of help and expertise that now exists. These newer correction methods are even safer, more comfortable and more effective than ever before. As a Doctor of Chiropractic, Dr. Fullarton has 15 years of training and experience in spinal adjustments. Dr. Fullarton uses primarily two techniques: Manual "Diversified" and a tonal/instrument based technique called Torque Release Technique "TRT". Massage therapy offers a natural conservative treatment approach that relieves musculoskeletal pain for many patients. Our office provides specific massage and muscular therapy that is tailored to meet the patient's condition and injury. The benefits of massage therapy may include increasing blood circulation, reducing swelling, relaxing muscles, relieving muscle pain and spasms, and aid in recovery and range of motion. To make an appointment with our Registered Massage Therapist - Franek Wojciechowski, please call the office to book an appointment. Low Intensity Laser Therapy is the application of red and infrared light over injuries to improve soft tissue healing resulting in relief of both acute and chronic conditions. Laser therapy uses light from a low intensity laser diode as well as an array of high intensity super luminous diodes to treat musculoskeletal injuries, chronic and degenerative conditions and to heal wounds. The light source is placed in contact with the skin allowing the photon energy to penetrate the soft tissue, where it interacts with various intracellular biomolecules resulting in the restoration of normal cell functions and enhancement of the body's healing processes. A custom foot orthotic is a device used to align the foot and ankle into its most anatomically efficient position and to correct your specific foot imbalance. Custom orthotics can help redirect and reduce certain motions that take place during the gait cycle and are customized to meet individual and lifestyle needs. 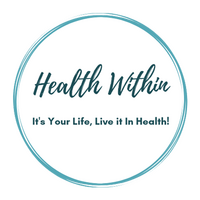 Health Within uses the gait scan, an innovative diagnostic tool that scans the foot during stance and during the gait cycle in order to capture a clear concise image needed for a customized fit. Shockwave therapy uses acoustic sound waves to induce tissue repair and regeneration, break down scar tissue and/or calcification, and diminish the transmission of pain. Shockwave has been found to be an effective tool for the treatment of chronic tendinopathies and has been successful for injuries and conditions that have not responded to other forms of therapy. Results are rapid compared to conventional treatments with high level of safety. We provide specific recommendations on nutritional supplements and healthy food choices to enhance our patient´s return to optimal health. Do you know which supplements and vitamins are good for you? Our Certified Laser Therapist, Julius Toltesi is also and Personal Trainer and weight-loss coach. He can provide a structured nutritional and weight-loss program based on your individual needs and health concerns.